A story of a woman in adventure sports business who has been sustaining her passion for more than three decades. For every hurdle she faced,she found a solution.She never gave up.Grit was the DNA of Rhea. Rhea was passionate about rock climbing, rowing and all other outdoor activities from her younger days. It was natural step for her when she started a voluntary adventure youth club. Entrepreneurs find solutions when they face a problem and Rhea is no exception. She had difficulty in procuring good quality life jackets, tents, sleeping bags etc. She decided to start making the entire camping kit herself. 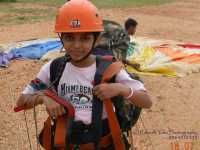 The youth who participated in the adventure sports purchased the camping kits from Rhea. An adventure sports business was born. When her business was just picking up, her spouse met with an accident in his work place. He was at the hospital for a long time. Rhea had to take care of her three children and meet family expenses. She took up a job in a unit manufacturing water proof jackets. She learnt how to purchase materials and also, to get the best out of tailors. How long can Rhea be an employee? The entrepreneurial bug bit her and she quit the job. Armed with the new skills, after two years as an employee, Rhea set up a manufacturing unit at home. She took a small loan and purchased three tailoring machines. It is not surprising that she again manufactured camping gears but added additional products like seat covers for automobiles. However she could not find enough time to manage the business as family required more attention. She closed shop. Rhea’s house was close to a mountain range and a perennial river. 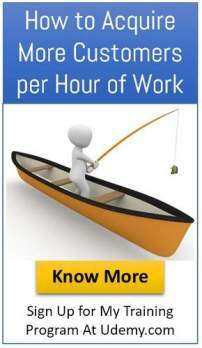 Corporate and academic institutions wanted outdoor activities on weekends. The aim was to promote team work, risk taking ability and leadership skills among their executives. The changes in the environment provided Rhea an opportunity to continue with her passion. 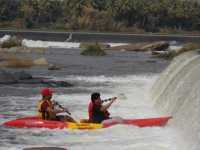 She organized weekend adventure camps like river rafting, rock climbing etc. This helped her to focus on her family during weekdays. She became President of local chapter of adventure sports association and executive member of national association. This network helped her to expand her business. How can life be without surprises? Rhea wanted to continue with her passion. She decided to set up an organization which would work even without her day to day presence. Rhea revived the manufacturing of camping gears business at home by hiring the tailors and a supervisor. Rhea continued with the outdoor activities by hiring a retired army major as its head. She employed a two member marketing team to procure orders for both camping gear and outdoor activities. She has won many awards as a successful woman entrepreneur. Don’t you agree that Rhea is really a gutsy woman?